Do you love an emotionally manipulative person? Someone who has a history of broken relationships, anger problems, and self-centered habits? Emotionally Manipulative people are geniuses at getting you to look past their faults so they can get their own way. If you have dealt with this kind of personality, you know how crazy-making and frustrating life can be. Being in a relationship with an emotional manipulator can seem great at first. 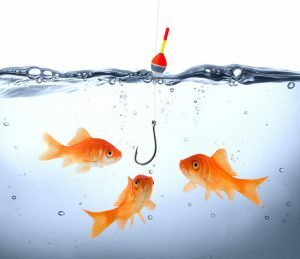 They use Attraction Strategies (listed below) in order to look appealing and get you hooked. Once you are hooked (paying for him, sleeping with him, feeling sorry for him, or making him look good), he/she shifts to Control Strategies (listed below) where you become the commodity to be exploited, used and controlled. Love bombs. If you fell for an emotional manipulator, you probably have said to yourself, “Well, he wasn’t that way in the beginning.” And you’re right. In the beginning, he probably inundated you with compliments, gifts, promises, desire and affection. He called, texted, stopped by all the time and never wanted you to leave his side. He bombed you with so much attention, the smoke hid his true character. Show Off. Like a peacock in mating season, he worked very hard in getting you to like him in the beginning of your relationship. He showed you only the positive traits, hiding anything that would make him seem less appealing. People with negative traits to hide put on a show so you will only see what they want you to see. Over Talking. In the beginning you may not be able to get a word in edgewise, as he tells you about his life, his accomplishments, and other things that make you feel amazed, sympathetic, admiration and even attraction. Maybe you even wonder why he, such an important person is paying attention to little-ole-you. Sob Story. Emotional Manipulators look for empathic people to listen, care, and even feel sorry for them. An emotional manipulator may legitimately have a tragic background, however, he uses his tragedy to manipulate your good nature. If he can get you to see him as the victim, then you will have a more difficult time holding him accountable for his bad behavior. Silence treatment. Emotional Manipulators use silence to punish, control, and slowly breakdown your will. Silence “seems” benign in nature, but it is actually one of the cruelest forms of psychological manipulation. Being with someone who actively ignores you can be excruciating. You may start to internalize this feeling to the point of feeling invisible. Public humiliation. An emotionally manipulative person does not hesitate in making you look bad in front of others so he can look good. If embarrassing you in public means that he’ll impress someone, he will do it. If cutting someone down makes him one-up, that is what he will do. Threat of harm. Emotional Manipulators may use all kinds of threats against you in order to control and intimidate you into doing what he wants. Many things can be used to threaten you, like withholding finances, turning your kids against you, or tarnishing your reputation with your family or friends. He may even become physically threatening or abusive. Threat of self-harm. Sometimes, the emotional manipulator will even threaten to harm himself in order to get you to back down, stay put or stop wanting things to change. Badgering. Have you heard the saying, “death by a thousand paper cuts?” An Emotional Manipulator will badger, harass, and pester his partner relentlessly until she is worn down enough to give in. You may especially experience this tactic as a response to setting a boundary with him. You may feel like you are up against a high pressure salesmen who won’t take “no” for an answer. Limitation of your Power: An Emotional Manipulator will try to control you by limiting your access to resources, friends, and family. 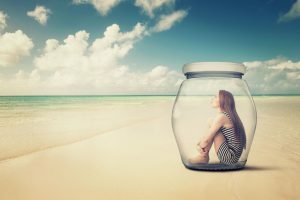 You may feel shut out of the finances, forbidden to seek counseling, or cut off from your friends and family. The Emotional Manipulator is threatened by your power, and will try to minimize it as much as possible to keep you in his control. Dealing with emotionally manipulative personalities can be exhausting. You may start to feel hopeless, and maybe even worthless. It takes courage to seek professional help when feeling overwhelmed, but each small step toward health and healing is a step in the right direction. Seeking professional help can help you create a plan to deal this this manipulative behavior and put you on the path toward recovery. In the following weeks, I will take each strategy and offer solutions to help you deal with the Emotional Manipulator in your life. My goal is to help you reclaim the power in your life so you can live happily and freely again. Need Help Now? 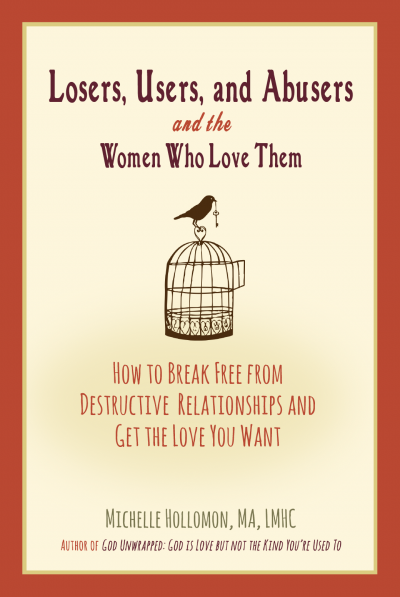 You can order my book to help solving your relationships today.